One pattern emerging in the new millennium involves ordinary people mobilizing around increasingly negative conditions. When we observe some of the largest protest campaigns of the past twenty years, they are clearly driven by worsening situations. The largest single day of global protest in world history occurred on February 15, 2003 as an anti-war action to prevent the impending US invasion and war in Iraq. Some 700 cities (and 10 to 15 million people) worldwide participated in the simultaneous mobilizations denouncing the imminent military offensive. The massive 2006 immigrant rights protests in the United States broke records in dozens of towns and cities as the largest street demonstrations ever taking place. The immigrant rights mobilizations centered on stopping punitive legislation passed by the US House of Representatives that would make undocumented residence a felony. The 2017 Women’s March organizers incorporated several perceived harms to existing protections, rights, health, and safety in relation to the arrival of the Trump administration in their mission statement. The Women’s March successfully converted these intersectional mobilization appeals into the largest synchronized rallies and marches in U.S. history with a reported 4 to 5 million participants (and repeated these efforts in 2018 and 2019). 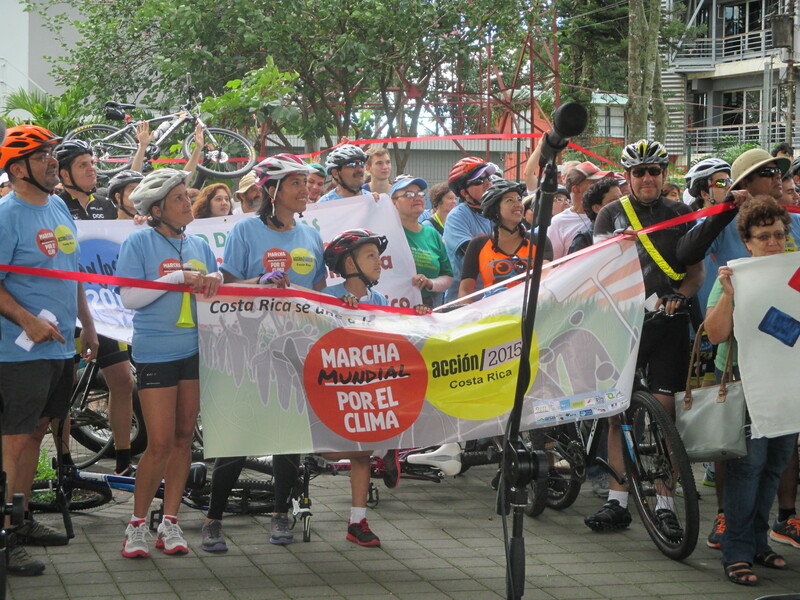 Costa Rica, November 2015, protest for climate justice. Copyright Paul Almeida. Perhaps the most ominous issue of all comes with planetary warming and climate change. Global warming has also produced the most extensive transnational movement in human history by promoting climate justice and a dramatic reduction in greenhouse gases. Environmental activists and scientists now coordinate the international climate justice movement in nearly every nation and have effectively mobilized millions of people in annual campaigns to pressure their respective governments and political leaders to act. Social movement scholars refer to such negative circumstances motivating collective action as “threats.” As the evidence above suggests, threats appear to be driving the largest social movement campaigns of the twenty-first century. 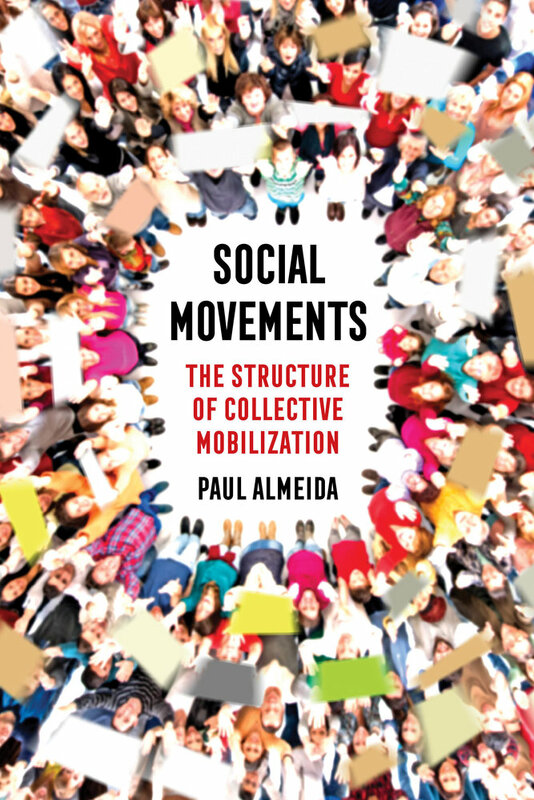 In my new book, Social Movements: The Structure of Collective Action, I give extended attention to the way various forms of threat influence the rise of social movements over the past two decades, their diffusion, and, most important, the final outcomes (i.e., success or failure). In this work, threats are classified into economic, political, repressive, and environmental forms. Economic threats refer to the deteriorating material conditions of life experienced by communities and groups. They are responsible for triggering contemporary movements in the United States such as Occupy Wall Street, the Fight for $15 fast food worker strikes, living wage campaigns, and the recent teachers’ strikes in West Virginia and Los Angeles. Economic threats have also catalyzed major protest campaigns against austerity and public sector privatization in southern Europe and throughout the global South. Political threats center on the loss of rights. The rise of authoritarian populism around the globe over the past five years has placed vulnerable populations and progressive social sectors on alert. The Women’s Marches and ensuing nation-wide mobilizations by the “Resistance” and Indivisible (e.g., over the “Muslim ban”; refugee family separation; attempts at terminating the Affordable Care Act, DACA, TPS, etc.) are largely a response to potential losses in constitutional and legal protections. Civil society campaigns against fraudulent elections and governmental corruption also fall under political threat-induced collective action. Repressive threats involve physical harms to safety. The Black Lives Matter movement (BLM) arose out of police brutality and police killings of African American citizens and the subsequent impunity of the departments involved. Mass resistance has also been motivated by repressive actions by national governments as recent examples in Sudan, Burma, Honduras, and Nicaragua demonstrate. When repressive state actions against nonviolent movements continue over a prolonged period, the repressive threats may even radicalize the movement as observed in some of the Arab Spring uprisings. While the peril of climate change and global warming appears as the largest environmental threat, local-based environmental justice battles occur throughout North America and the world. In the United States, these conflicts often involve environmental disparities, whereby majority non-white and low-income communities receive a disproportionate amount of pollution, environmental hazards, and costs. While many of these local struggles against environmental threats remain below the radar of national public awareness, the latest cases of lead poisoning in Flint, Michigan and the construction of the Dakota Access Pipeline (DAPL) on indigenous people’s lands have shown the exemplary character of everyday people attempting to reclaim the ecological health and sustainability of their communities via defiant collective action campaigns. Hundreds of similar defensive campaigns over environmental threats occur across Asia, Africa, and Latin America over mining, mega-development projects, and the rapid expansion of bio-fuel crops. All of these threat-induced social movements require a minimum organizational or coordinating structure to launch and maintain their campaigns. The new internet communications technologies, especially social media (SMS/Texting, Twitter, WhatsApp, Tumblr, Facebook, Instagram, etc.) have played an integral role in every movement mentioned above, and several of these mobilizations have broken records for their size and scope. As the first quarter of the twenty-first century rapidly unfolds, the social movement path to preventing and turning back mounting threats may be one of our most promising avenues for change. At the same time, organizers strive to sustain many of the tremendous mobilizations that at times display a “flash activism” character by only lasting for a few days or less, even though they may be large in terms of numbers of participants and geographical scale. More strategic discussions should contemplate and debate balancing digital activism with more traditional face-to-face forms of solidarity relationships and capacity building across neighborhoods and communities in order to build enduring and efficacious movements.